Social media reacted with anger to French Prime Minister Manuel Valls’ assertion that France “will have to live with terrorism.” Users shamed the PM, saying that more people apparently need to be killed in terror attacks to wake up the French government. Valls made the statement following the attack in Nice that killed at least 84 people and injured dozens. However, Valls’ assumption that “France-is-going-to-have-to-live-with-terrorism” hasn’t amused French social media, and possibly bolstered France’s reputation as a country that surrenders at the drop of a hat. Users are apparently livid, taking the PM’s remarks to mean that the French government doesn’t plan to take on the extremists, but simply call on its citizens to learn to live with the threat. Non la France ne doit pas "vivre avec le terrorisme", tout comme nous ne devons pas nous habituer à l'incompétence de nos gouvernants! “What? More people should be killed to wake you up, fool!” @MathiasLiurno added. Valls: "La France doit apprendre à vivre avec le terrorisme" Quoi ??! mais tu veux encore cb de tués pour te réveiller bouffon ?!!! Others called on Valls to resign after uttering such words. 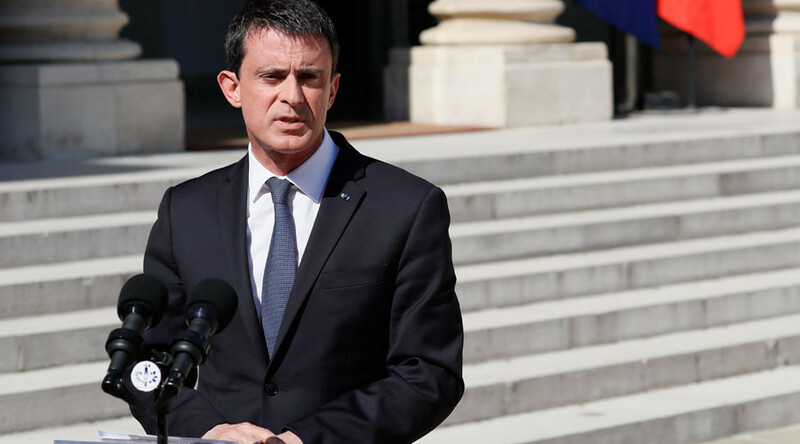 Manuel Valls: "la France doit apprendre à vivre avec le terrorisme"
“You don’t have any shame?” “It gave me chills.” “The sword of Damocles over our heads” – these were the angry comments on social media. "la france va devoir vivre ave le terrorisme" ça m'a donné des frissons. “This phrase [Valls’] is horrible. We don’t want to live with terrorism, we want to live in peace," @FlowerofFields added. "La France doit apprendre à vivre avec le terrorisme". D'accord c'est plutôt rassurant. At least 84 people were killed when a truck plowed through a crowd during celebrations in Nice, in what has been called in the city’s worst terror attack in history. Weapons and grenades were found in the vehicle following the rampage. The truck driver was eventually killed by police. French intelligence services had not been watching him, but he was known to police in connection with common crimes such as theft. French local media has identified the truck driver as Mohamed Lahouaiej Bouhlel. It was revealed earlier that he was a 31-year-old French national who was born in Tunisia.